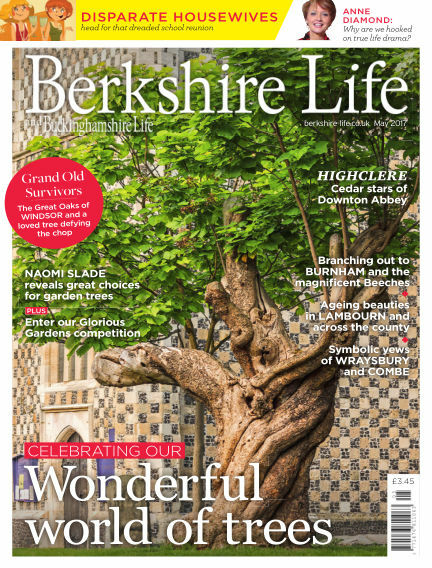 In this issue of Berkshire Life : Celebrating Our Wonderful World Of Trees - Grand Old Survivors: The Great Oaks of WINDSOR and a loved tree defying the chop - Naomi Slade reveals great choices for garden trees - Anne Diamond: Why are we hooked on true life drama? - Disparate Housewives head for that dreaded school reunion. With Readly you can read Berkshire Life (issue May 2017) and thousands of other magazines on your tablet and smartphone. Get access to all with just one subscription. New releases and back issues – all included.